The life of the Orthodox Church perpetuates and fulfills the ministry of Jesus Christ. The close association between Christ and His Church is reflected in the images from the Scriptures which declare that Christ is the Head and the Church is His Body, and that Christ is the Bridegroom and the Church is His bride. These images express the reality that the Church does not exist independently from Christ. The Lord and Savior, who was known, loved, and followed by the first disciples in Galilee nearly two thousand years ago, is the same Lord and Savior who is known, loved, and followed through His Church. As Christ revealed the Holy Trinity, His Church continues to reveal the Holy Trinity and to praise God in her worship. As Christ reconciled humanity to the Father, His Church continues to be the medium of reconciliation by word and action throughout the world. As Christ manifested the vocation of authentic human life, His Church continues to be the realm through which the image and likeness of God in each of us is brought to perfection. 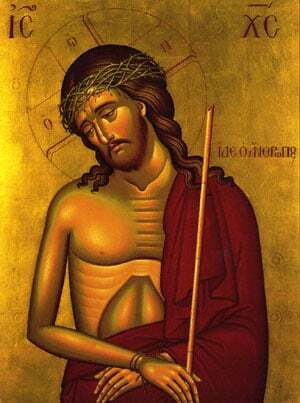 The Orthodox Christian becomes united with Christ at Baptism and is nurtured by Christ at every Eucharist. We believe that the Holy Spirit acts in and through the Church to make Christ our Lord and to bring His work to fulfillment. Orthodoxy has avoided any temptation to reduce its vision of the Church. The biblical descriptions of the Church as the Body of Christ and the Temple of the Holy Spirit indicate that she truly must be recognized as much more than one institution among many, or a social service agency, or as an ethnic or fraternal organization. Certainly the Church does have her institutional aspects, and she is always subject to the sins and limitations of her human members. Yet, Orthodoxy believes that in addition to her obvious human side, the Church also has a Divine dimension. The Greek word for Church, ecclesia, implies a community called and gathered by God for a special purpose. This means that the Church can be described as the unique meeting place between God and His people. The Orthodox Faith cannot be appreciated fully, or appropriated personally, by the individual who is outside the Orthodox Church. Viewed from this vantage point, Orthodoxy can falsely appear as one world-view among many, as a cultural appendage, or merely as a ceremonial church. It is only from within the Church that one has the necessary perspective of experiencing Orthodoxy as the revelation of Divine Life. The Orthodox Church has a universal appeal and vocation. She does not restrict membership to people of any particular culture, race, class, or section of the world. Indeed, Orthodoxy values the diversity of cultures, peoples, and languages which are part of her life. She also affirms a unity of faith and love in Christ which transcends all artificial barriers. Membership in the Orthodox Church is open to all persons. The Orthodox Church in the United States is no longer considered to be an immigrant Church. She has been recognized as one of the four major faiths in America. The membership of the Orthodox Church in this country includes persons from a wide variety of ethnic and cultural family backgrounds. The overwhelming majority have been born in the United States. Among these five million Orthodox, there are a large number of persons who were raised in other religious traditions and who have chosen to become members of the Orthodox Church. "Orthodoxy is not exclusively the religion of the Hellenes, but the religion of all those who, as a result of mixed marriages, or contract or study of Orthodoxy, have come to know and relate to it; and, therefore, Orthodoxy has already found its place and mission in the Western Hemisphere." If you are seriously interested in becoming a member of the Orthodox Church, you should meet with your local Orthodox priest and become acquainted with his parish. He will be happy to offer you advice and guidance, as well as to introduce you to members of the parish. This is truly an exciting period in the development of Orthodox parishes in the United States. While most are associated with a particular cultural heritage, many are coming to fully recognize the responsibility of Orthodoxy to the wider society. When you embrace the Orthodox Church, you also join a particular local parish. It is meant to be a spiritual family. Therefore, you should thoughtfully examine the concerns and priorities of the parish. Try to discover whether you will feel comfortable, whether the parish can provide you with the opportunity to grow closer to God and to be of responsible service to others. In many parishes, the priest offers classes or individual conferences on the Orthodox Faith for those who wish to become members of the Orthodox Church. The length and scope of these instructions will be determined by your previous knowledge of the Christian Faith, as well as by your particular needs and concerns. After the period of instruction, there is a Service of Reception into the Church. If you are converting from a non-Christian religion, you will make a profession of Faith and be baptized and chrismated. If you are being received from a Church which has a similarity of beliefs with Orthodoxy and you have been properly baptized and confirmed, you will participate in a brief Service of Anointing (Chrismation) which signifies reconciliation with the Orthodox Church. The reception of Holy Communion is always seen as the consummation of union with the Church. The ultimate commitment of the Orthodox Christian is a commitment to Christ our Lord, Who is known in and through the Church. This is expressed by the litanies of the Church which call upon us to "commit ourselves, one another, and our whole life unto Christ our God." And, prior to receiving Holy Communion, we pray: "O Master Who loves mankind, unto you we commit our whole life and our hope." Each of us is unique and blessed by the Holy Spirit with different gifts and vocations in life; therefore, our personal commitments to Christ will be expressed differently. Yet, Orthodoxy firmly believes that this commitment will always be built upon a worship of God and a loving concern for others. As worship is central to the Church as a whole, worship, personal prayer, and especially participation in the Holy Eucharist are central to the life of the individual Orthodox Christian. Through these actions, we grow closer to God and we are blessed with the fruits of the Spirit, which enable us to be of loving and responsible service to others in Christ's Name. Orthodoxy avoids any tendency which seeks to separate love of God from love of neighbor. The two are inseparable. This conviction is expressed during the Divine Liturgy in the dialogue between the priest and the people which says, "Let us love one another that with one mind we may confess...The Father, Son, and Holy Spirit; The Trinity, consubstantial and undivided." Although Orthodoxy highly extols the value of worship, this does not imply that it in any way minimizes the importance of a life lived according to the Gospel. Therefore, as the Liturgy reminds us, only those with faith and love may draw near to receive Holy Communion. Our participation in the Body and Blood of the Lord also provides each with the opportunity to be Christ-bearers in the world in which we live.